A Lithuanian is the Strongest Man in the World! 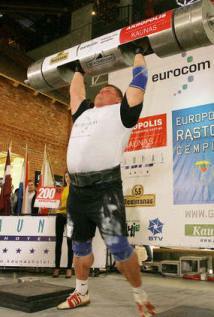 In Kaunas, Lithuania, on 21 November 2009 the Lithuanian strongman Žydrūnas Savickas bettered by 2.5kg his own log lift world record, which he had set last year. 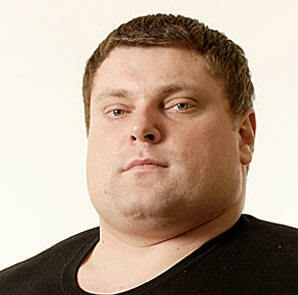 Žydrūnas Savickas has now won every major strongman competition in the world, bettering many world records on the way. He certainly is entitled to call himself the strongest man in the world!